Independent doctor-owned and operated, Stat-Care focuses on the highly-desired and personable patient-doctor relationship as the cornerstone of its health care model. Dr. Selby, in combination with the entire Stat-Care staff, provide premium quality patient care that is competent, personable, and cost-effective. Informed frequently by his patients of a void when it came to family medicine with walk-in access, Dr. Selby created Stat-Care in 2013 to fill it. In combination with his existing pulmonology practice, both needs could be met for patients by adding this immediate access to primary medicine to better serve the health needs of the public in Evansville, Indiana and the surrounding tri-state region. Stat-Care also stands out in its "continuity of care" model which includes Dr. Selby's admission of patients to all area hospitals. This has become nearly a lost art that patients deem highly desirable and preferrable to the modern practice of being admitted to an unknown hospitalist. Nothing cements a patient-doctor relationship better than this extensive level of 'continuity of care'. Stat-Care providers have 50 cumulative years of medical experience for both in-patients and out-patients. 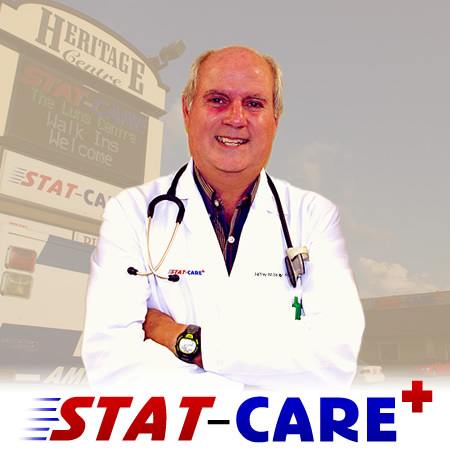 These decades of experience of skilled medical professionals in conjunction with a state-of-the-art clinic allows Stat-Care to be your "excellent healthcare provider". Dr. Selby, the nurse practitioners, and staff prove regularly that medical care for patients can in fact be affordable, convenient, and responsive. Many illnesses and conditions, whether acute or chronic, are treated at Stat-Care, including: colds, lascerations, sprains, stomach aches, diabetes, COPD, and hypertension, congestive heart failure, and much more. Visit our services page for an extensive list of the treatments we can provide for these ailments. Stat-Care accepts most health insurance plans. Call or walk in today for your new patient appointment.